I'm always playing with designs on my nails. I like to try easy was to do nail art besides always having a french tip. Here is a great way to have a design on your nails without using tools. 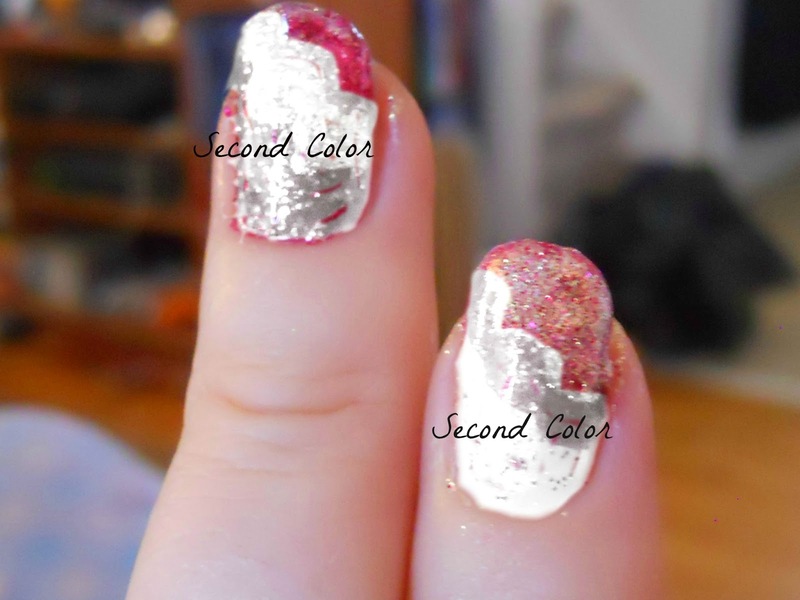 All you need is a base coat, 2 colors of nail polish, top coat and TaDa Quick Dry Polish Drops if needed. Here are the simple steps to achieving this nail art look. 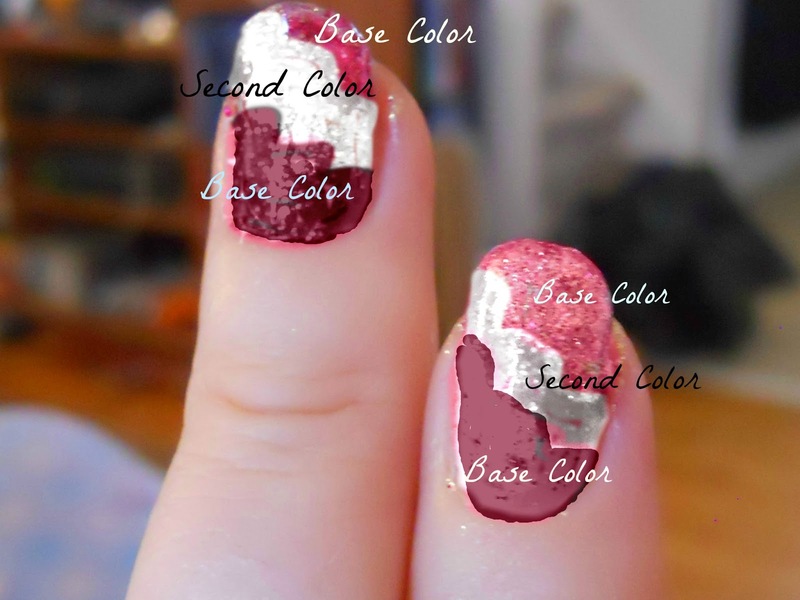 Here is a video tutorial I did showing how I apply the nail polish.